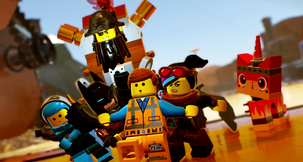 The LEGO Movie 2 Videogame The LEGO genre has been totally reinvented at last! But is it fun to play? In 2005 LEGO Star Wars was released. 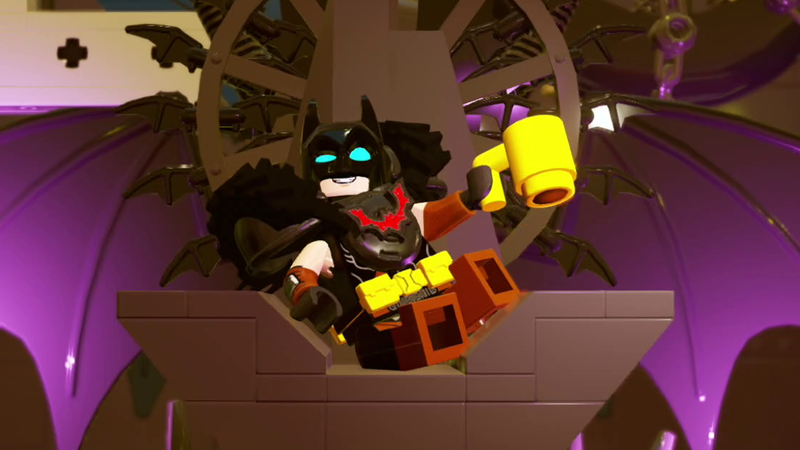 TT Games has released many, many excellent LEGO games since, up to and including LEGO DC Super Villains last October. There have been tweaks, changes, and innovations along the way, such as cover systems, better fighting mechanics, and full voice acting, but in general the formula has remained the same. When we went along to play the videogame of The LEGO Movie 2: The Second Part we had no idea we’d be witnessing the first truly major evolutionary leap of LEGO videogames since LEGO Star Wars. Linear story levels? Gone. Random things to build in specific locations? History. Only smashing things to get money studs? You still get studs, but there’s a better LEGO reason to smash things now. No real focus on building? There’s a whole sandbox planet you can create an entire city on if you want. 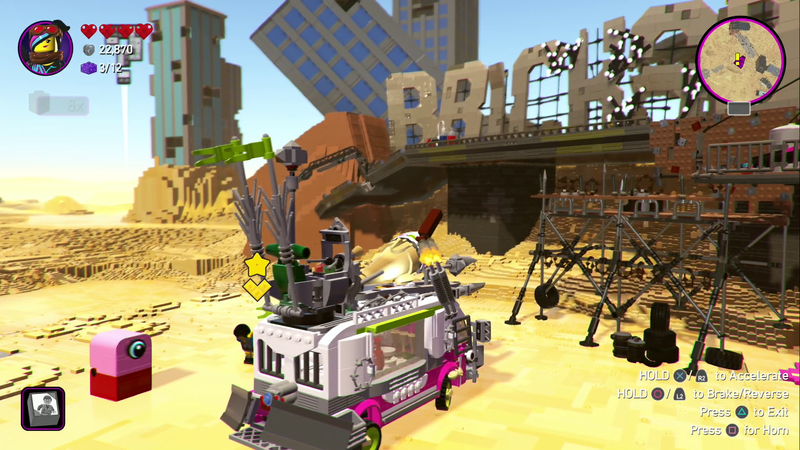 The LEGO Movie 2 Videogame is the real deal. Not spoiling much of the movie beyond the trailer: since the surprise invasion by Duplo monsters at the end of the first film, the previously awesome residents of Bricksburg have embraced a post-apocalyptic Mad Max-style existence… apart from main character Emmet, who’s just oblivious to the whole thing. Then a spaceship shows up and kidnaps Wildstyle, Batman, and all the other major characters apart from Emmet, who has to go and try to rescue them. Well, in the movie anyway - in the game, Wildstyle/Lucy also stays behind (which changes the plot somewhat…). We got a look at a few of the game’s levels and a hands-on with the first, and when we say “levels” we mean “fully open world”. 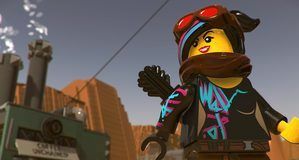 TT Games has noticed that players preferred to explore the open world hubs in LEGO games rather than the linear story levels, and so have got rid of linear story levels. 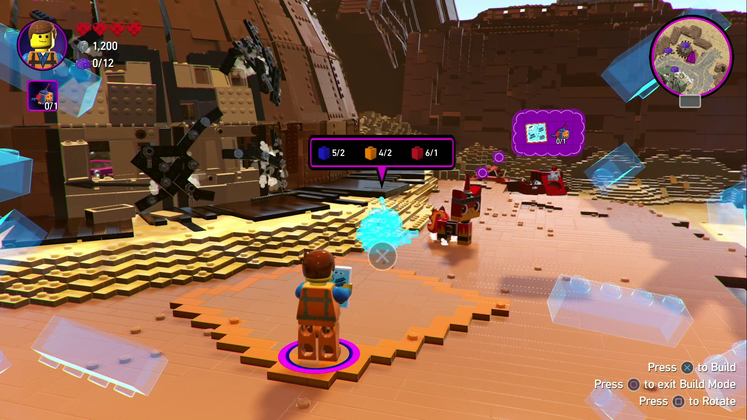 All of The LEGO Movie 2 Videogame is open-world, with multiple side-missions, places to explore, secrets to find, and things to unlock. Or, just follow the story and have an exciting time. The level we played was Apocalypseburg, which included a small town, the outlying wasteland, the Bat-Bunker, the Planet of the Apes-like destroyed Statue of Liberty, and multiple side-quests. You really get thrown straight into it, with a little introduction to the new systems before fending off an alien invasion. These new systems, though, will make (er, pun intended) the game. Wildstyle/Lucy is trapped in a dome, so what do you do? You build something to get her out of there. Now though, instead of smashing things to find bouncing blocks you hold ‘use’ on to build, you now have specific items you can build with blueprints - and place anywhere. In this case, you can build a little turret to zap the glue holding the dome’s door closed. You smash some nearby LEGO items and now they give LEGO blocks. Flip to building mode, choose a thing to build from the blueprints you have available (such as turret, generator, or spring block), and if you’ve got enough blocks to build it - do so. The game gives you a little guide on where to put it, but you can place these things anywhere. It really feels like TT Games is embracing the real idea of LEGO, which is building things. It was in LEGO games before, but could’ve been removed and no one would notice. Now it’s a real essential part of the game, and none more so than in the Syspocalypsestar System, which is a huge sandbox planet reminiscent of Disney Infinity’s Toy Box mode. As you progress through the game, more characters are added to the planet, with more quests and demands, and you can both help them out - and build whatever you like. You can scan most things in the game and get their blueprints, so you have a lot of freedom. There’s a load of customization options too, including different skins for characters, all of which can be unlocked in various ways. There’s a lot to do. Back in Apocalypseburg, an attack by General Mayhem brings a load of Duplo monsters to the town, introducing the new combat mechanics. Yes, you can still just bash them a bit, but new to The LEGO Movie 2 Videogame is the idea of super moves. Each character has a unique special “Build Attack” move that they can unleash periodically - Wildstyle’s, for example, is a giant set of speakers that destroys all enemies. Anything to improve the game’s combat is good - although I personally just enjoy ploughing into enemies riding a giant Unikitty. 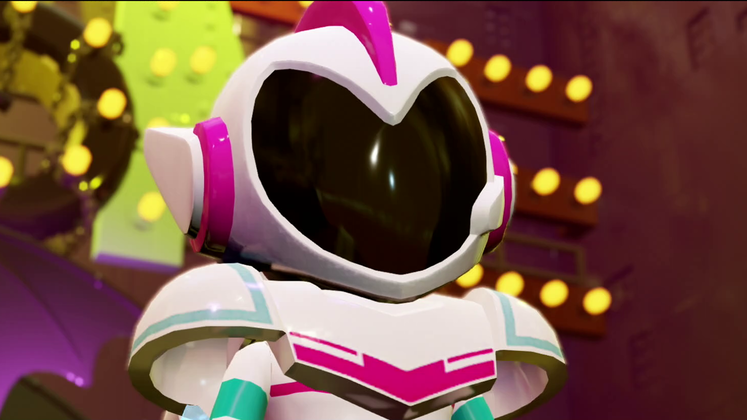 The LEGO Movie 2 Videogame is out worldwide on February 26 on PC, Xbox One, PS4, and Nintendo Switch. The movie is out now. It’s worth seeing, trust us. It’s the most meta movie we’ve ever seen. The final level we were shown was the Asteroid level, which is where the game started to take more of a detour from the plot of the movie. New enemies and areas are introduced that weren’t in the film, and intergalactic space adventurer Rex Dangerfest and his crew of Velociraptors play a more active role. You have to disguise yourself as one of these new Blacktron guards, which you can make any character wear, and sneak into their camp. You can even ride a Raptor, and that’s always a good thing. The LEGO Movie 2 is a fantastic sequel, but honestly the videogame has us more stunned, just for the way it totally reinvents the LEGO formula. 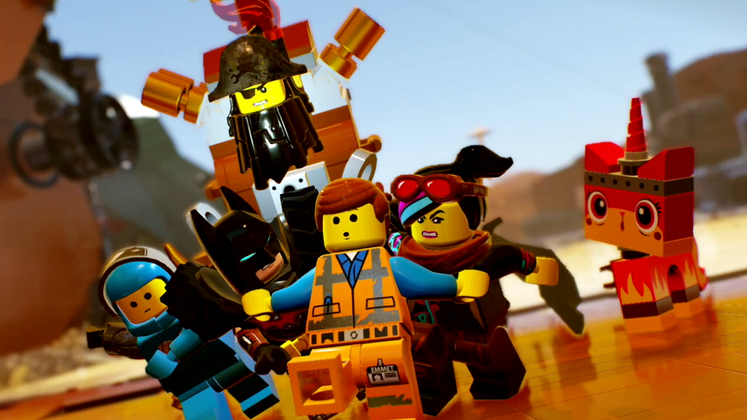 The LEGO games have needed a fresh take for a long time now, and now it’s finally here. Open-world levels! A buildable sandbox planet! Gathering materials and building actual LEGO sets! Batman! It’s like TT Games took a list of everything they needed to fix the LEGO genre, and ticked off every item on that list. 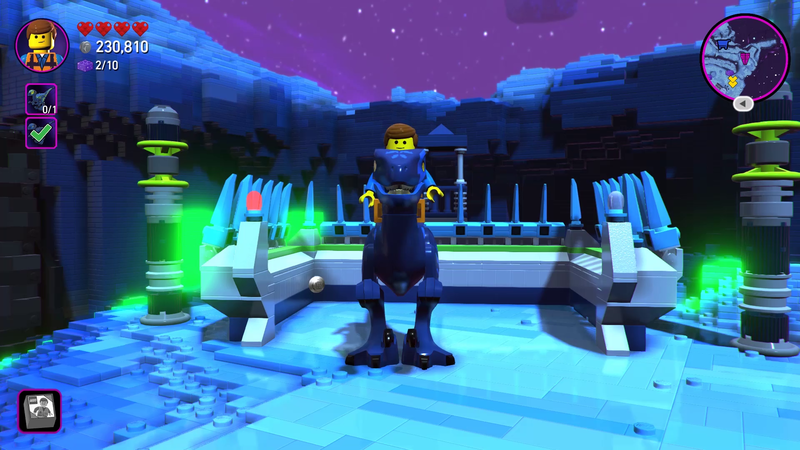 We actually can’t wait to play the final game… and yes, that’s a LEGO game we’re saying that about. Wow. Discovering all the open-world levels. The over-colourful Systar System will probably be a lot of fun.